Thrown together by tragic circumstances some years previously, Meg and Clarrie's hard-won friendship eventually brought them both some sense of peace. But how deep do their feelings run, and how long can their happiness last? In 1939, the outbreak of war brings a new set of concerns and emotions, especially with the arrival of the evacuees who come to share their lives. Can they all come together to form a bond powerful enough to help each other through the darkest days of war as they fear for their loved ones involved in the conflict? And what will happen when an enemy from Meg's past comes back to haunt her? 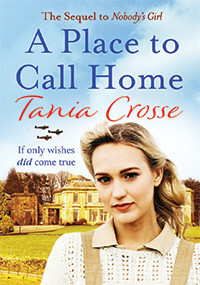 An intense and emotive WW2 story of love, courage and friendship in the face of the horrors and hardships of war.